Laws both influence and are influenced by society. 2019 marks the tenth year since the Santa Barbara county ban on Floatopia, the annual social beach event where thousands flocked towards the sand and in the water — this former event, a platform for artistic expression, is Deltopia’s mother. This ban inevitably altered the way Isla Vista parties by regulating how and when festivities can happen. We have heard a great deal since 2009 about the things that are a menace to civilization in Isla Vista. First it was the University of California’s decision for additional tuition hikes; next the dearth of smooth pavement between potholes. Then it was the outer community’s response towards the irrepressible week-long spirit of Halloween celebration, which ran day to day accompanied by snappa-tourneys, day-gers, slapping the bag, and students feeling ambivalent about hitting the library over shotgunning 30-racks of rolling-rock beer between bass-echoing dubstep mixes. 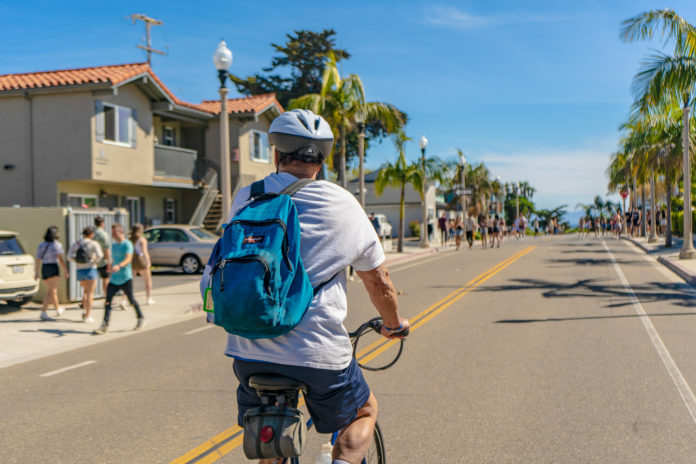 Nay, the dangers which confront our Isla Vista culture are not so much the external dangers — increases in tuition, uneven roads, and the contrast in culture between Goleta and Isla Vista. The most alarming dangers are those that menace from within — the dangers that threaten the mind over body. He recalls the many unique forms of floatation devices and decorated homemade rafts students built to properly celebrate the bacchanalian weekend on the waves. In contrast, partiers today are simply focused on more traditional partying. It appears as though the mandated sound ordinances, parking restrictions, and tighter regulations on the festivity have limited how revelers weave artistic thought into expression. Nonetheless, this weekend illustrates how Deltopia evolved from its early inception as a reaction to the beach ban a decade ago into the unique festivity of today. I took the officer’s observation to thought and it posed a strong question: is the current Deltopia with its door-to-door house parties as sophisticated in expression as Floatopia? Could the current experience become enhanced? Parties are gatherings where human beings come together to build an experience. A decade ago, Floatopia created a need for people to come together and build — students fought the laws of physics with raw materials and constructed buoyant vessels. Deltopia, sometimes described as a type of localized street fair, offers more subtle opportunities of expression. Some have compared the weekend with concerts like Coachella that simultaneously play several live sets of music in order to reach out to the eclectic tastes of its participants. In an interview with The Bottom Line, fourth-year English major Daniel Ebrahimi describes his time this weekend as inclusively fun. Perhaps I.V. is one of the few places in the world where both religious folks and worldly folks get along with one another without judging each other in such a setting. In my experience as a junior UCSB student, I recall Deltopias that were unfettered by afternoon sound ordinances. In the former AEPi Del Playa satellite house (named Pinky Toe) one flip of the switch on the balcony amp would draw in dozens of dressed up partiers enjoying the atmosphere inside the house and outside. The transition from the beaches to the streets have created a platform and atmosphere where people dress up. This experience is enhanced through both sound and visual field that cater more to entertainment of the senses. Although regulations today have restricted both the times and decibel range where music can exist during Deltopia, the Isla Vista beach culture continues on, remains distinct among other universities, and kicks off spring quarter as an inclusive time for both study and fun.